Having experienced Haiyan’s gusting wind, deadly storm surge, and the horror it brought to our region, several realizations came in to my life, and I know that other Haiyan survivors also share the same sentiments as I do. 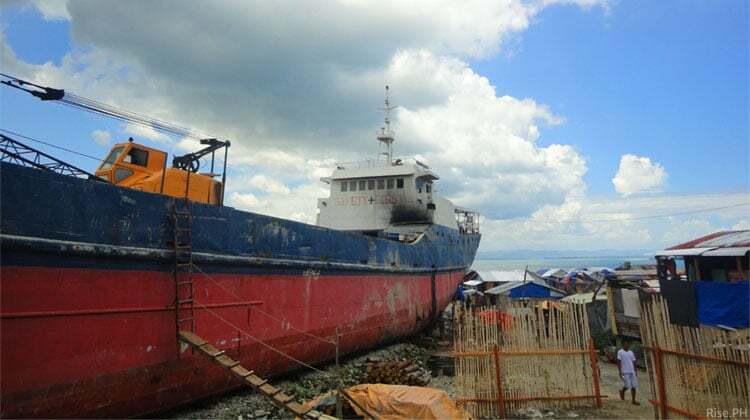 The havoc caused by Haiyan (local name Yolanda) was not only felt by the locals who actually witnessed it, but also by the people all over the world who kept their eyes on that terrible and heartbreaking news. However, there are still many things about Haiyan that only us, the survivors, will fully realize. In order to let the world understand us deeper on what we had been through, here are some things that I want to share to everyone. 1. An unconfirmed tsunami alert will cause everyone to panic after all the communications and electricity infrastructures were destroyed by a strong typhoon. Haiyan left our place blackout with zero signal for communication. Any news during that time was difficult to confirm if true or not. There was no radio, TV, mobile phone signal, Internet, or even a policeman to ask for an accurate information. And when a tsunami alert spread during the night just after Haiyan struck us in the morning, everyone was on panic. People were rushing to go to mountains and other higher grounds to save their lives once again. My heart was breaking when I saw elderly people in wheelchair and parents carrying their children, trying to escape another approaching catastrophe. That evening was dark. The sky was full of eerie lightning and thunderstorms. Fortunately, the tsunami warning was a false alarm. 2. Without law enforcers and with people getting hungry, looting is inevitable. I’m a person who’s always thirsty for information. The day after Haiyan struck, I walked and roamed around Tacloban Downtown to seek for information, assess the degree of destruction, and look for supplies of food and water. There, I witnessed how people looted Gaisano Department store, 578 Supermarket and other stores in the city. There were no police officers to calm down the starving people, including the insistent opportunists who looted appliances and other unnecessary things for survival. Without law enforcers, business establishments were helpless from the aggressive looters. Looters were a mix of people. Ladies, teenagers, students, professionals, government employees, and even the rich became looters. Luckily for me, I found a store owner who was selling goods left from his warehouse. I spent all the cash left in my pocket to buy canned goods, candles, coffee, and other basic foods. Honestly, if I did not find any food to buy and bring home, I might also resort to looting. 3. When Heaven strikes us, your money can be worthless. On the first day after Haiyan, I was still able to use money to buy food. But on the succeeding days when people have already realized that the loss of supply of food and other basic goods can last for several months, money became worthless. Nobody wanted to sell their food for money. You have to pay food for food, water, or any equivalent stuff. Barter exchange became the acceptable system during that time. 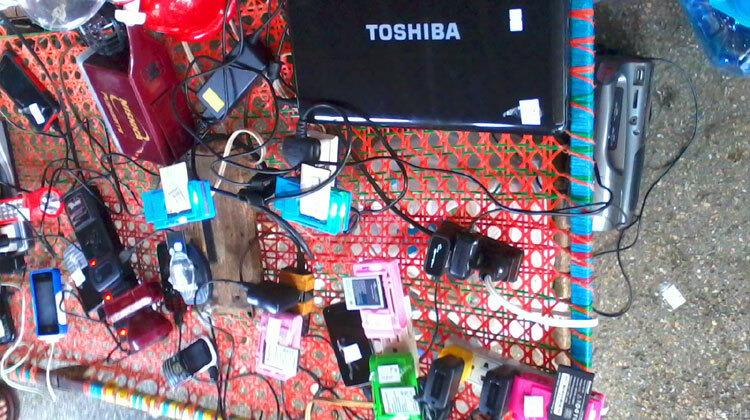 Various gadgets charging for power along the sidewalk of Tacloban Downtown. 4. A powerful typhoon can make your expensive gadgets and equipment useless. Laptops and cell phones are useless without power. Cars and motorcycles cannot run without fuel. That’s why fuel became as expensive as gold. Gen sets and solar panels became the most important equipment anyone could have. If you think you can’t live without Facebook for a month, Haiyan survivors can tell you that you can actually live without Internet and electricity for many months. 5. You need to travel for miles and hours to send information to someone. Information is always crucial for survival. During Haiyan, we can’t make a call or send a text message to our loved ones who were in other places. We cannot ask them if they were alright. We can’t tell them that we have survived and were still alive. The only way to send or get information was to visit them and talk to them personally. But with the fallen trees and electric posts blocking the roads, and with the long exodus of people and vehicles coming in and out the city, walking and travelling was a great feat. To know what happened to my family in Catbalogan Samar and to tell them that we have survived here in Tacloban, I had to walk for more than seven hours just to get to the place where I can ride a bus to Catbalogan. I walked on a flooded and very crowded road where you have to pass by on the dead bodies still lying on the street. Aside from the intense heat of the sun, I was only bringing a small bottle of water to quench my thirst. But if you think that it was already hard for me, just imagine the elderly people, the pregnant women and the babies who were also on the same journey I’m taking. 6. Corruption in the government is a very serious crime. It doesn’t only steal people’s money, but it also kills lives. Perhaps you’re passive and you’re ignoring the corruption happening in our country right now. Maybe the reason is that you don’t feel it. But for us Yolanda survivors, we got a first-hand experience of the terrible consequences caused by our corrupt public officials. 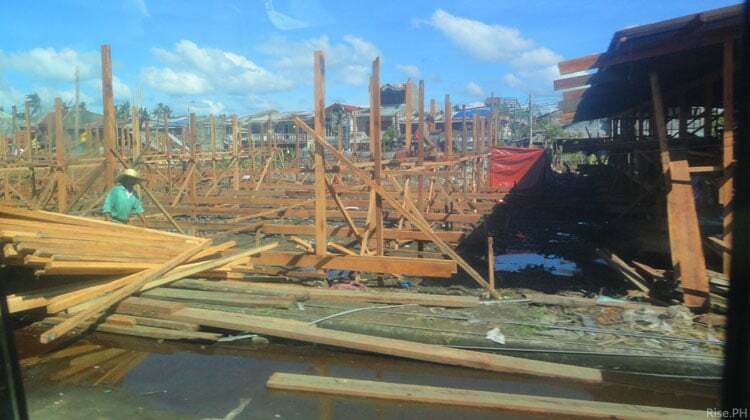 The sub-standard materials used for building schools and other government structures, which served as evacuation centers, killed or almost killed people rather than protect them. Moreover, bad politics made most of the government’s rescue and relief efforts “delayed operations”. That’s why you will notice that most of the Haiyan survivors are now more active in fighting corruption and expressing themselves against dirty politics. We hate corruption in the government, and we don’t like what happened to us to also happen in other parts of the Philippines. 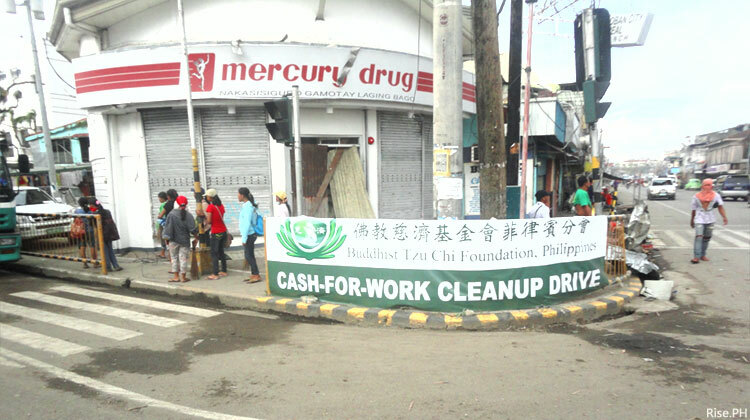 The cash-for-work program by Tzu Chi Foundation was very helpful in making the city clean again. 7. NGOs and international agencies provide better help than your own government who gets your taxes. I’m sorry to say that, but I know there are many Haiyan survivors who will agree with me. Ask many Haiyan survivors “who are the ones they remember the most when it comes to helping them get back on their feet?”. I bet they will tell you names like Tzu Chi Foundation, Unicef, USAID, and other International organizations. Of course our government has also contributed a lot to help us. Due credit must also be given to them. But was it enough and on time? I don’t think so. 8. Not all people who come to you during calamity will help you. Some of them come to take advantage of the situation. 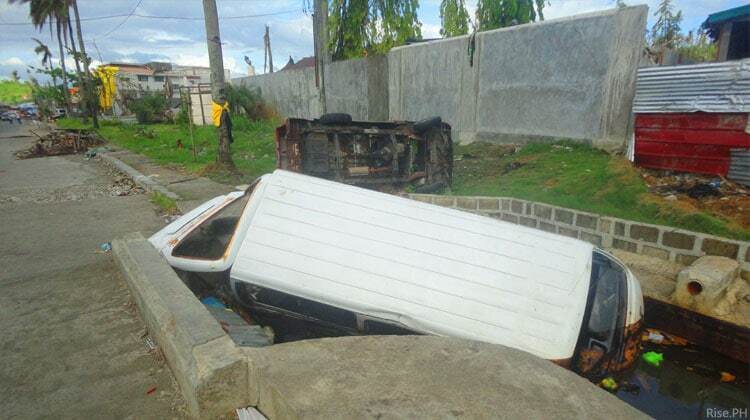 Truth be told, not all the looters in Tacloban were people from Tacloban. Not all of them were even victims of Haiyan. It was so frustrating to realize that some of the people from neighboring towns who were not affected by the storm will come to your place, not to help the victims, but to loot and profit for their own sake. And how about some of the politicians who visited us? Did they approach us to help us or to help themselves win for the next elections? What do you think? I cannot answer it myself. All I heard was that they had a lot of briefings, and I don’t have any idea what those briefings are. 9. You realize that the apocalyptic scene you see in movies can happen in real life. I saw building on fire, wrecked cars turned upside down, houses turned into debris, ship washed ashore, citizens who are looting stores, dead bodies lying on the streets, and disoriented people who are walking like zombies. 10. In the absence of soldiers and police officers, you become the protector of your own community. There were prisoners who escaped from jails. There were news of house robberies. There were no peace and order in the city. There were no enough policemen or soldiers to guard your community. That is why the citizens became the protectors of their own zone, barangay or subdivision. Every able man was given an assignment and schedule to guard their place. Curfew was implemented and places were protected by barricades. 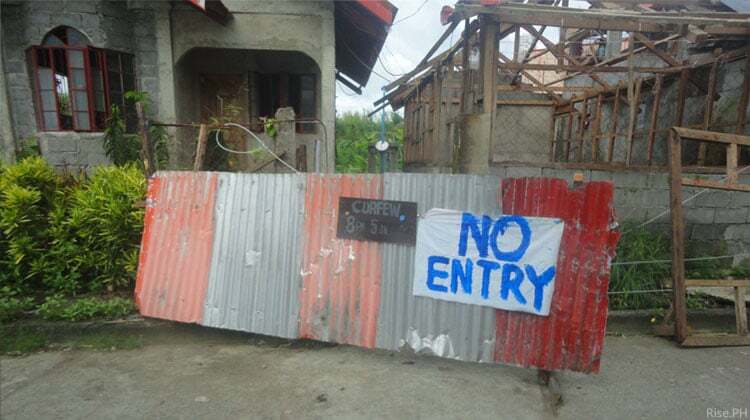 Barricades were put up and curfew was implemented to protect the people in each barangay and subdivision in Tacloban, Leyte. 11. Family and true friends are your most valuable possessions on this planet. Most Haiyan Survivors have lost a family member, a relative or a friend. And it was all unexpected. We may lose a house, a car, a business or a job, but all of them can be replaced with something equal or even better. But the lives of our loved ones are irreplaceable. That’s why Haiyan Survivors are now more appreciative about the value of life and about moving on for a better living. 12. The children who survived Haiyan can go on with their lives as long as there is food, water, sleep and play. It didn’t matter if there was no electricity or even a decent shelter. As long as there was a vacant place and some simple toys to play, children can be happy and somehow forget the horror they experienced from the onslaught of Haiyan. 13. When plants and trees were destroyed by Haiyan, you realize how important they are in making the environment cool and green. Haiyan almost knocked out all the trees on its path. The mountains became brown from being green. Without the plants and trees, our place became hot night and day. And without power to run an AC or electric fan, it really became hard to have a good night sleep at night. 14. It’s disappointing to hear or read negative criticisms from people who did not actually experienced the horror of Haiyan. There are some Filipinos from other parts of the country who blame us for our downfall, without even realizing that Haiyan is a natural calamity. There are also some people who judged us as robbers, without realizing that many looters were actually nonresidents of our city. There was also a leader, who, instead of listening, helping, and uplifting your spirit in the middle of a crisis, he will just tell you that “you should be thankful that you’re still alive”. Furthermore, there are some public officials, who, rather than taking responsibilities, they became busy blaming others to keep their political images faultless. 15. You become emotional when you see photos or read stories about the places and people affected by Haiyan. Our memories are still fresh. The Haiyan incident is a life-changing event. It will never be forgotten in our minds, hearts and souls. We will always recognize and value the lives that were taken during Haiyan. We will always remember the struggles we had to stand up, start a new life, and create a brighter future. It’s already more than 8 months now since Haiyan changed the lives of many Filipinos. Although there are already significant signs of improvements and recovery, there are still many survivors who are needing help. There are still survivors who are living in tents and temporary bunk houses. There are still many children who continue to learn their lessons in temporary classrooms. I hope that through this post, our leaders, countrymen and the world will have more understanding and compassion to all Haiyan survivors. Today, July 15, 2014, there’s another typhoon named Rammasun (local name Glenda) that is hitting the Philippines. Although our province is only at signal #1, it’s already causing panic to all, considering the trauma we experienced during Haiyan. The term “windy day”, which was a normal term used in children’s textbooks is not anymore a normal term for the children who survived Haiyan. My little nephews shiver in fear every time the day turns into a windy day, whether it’s caused by a typhoon or a normal weather condition. Even I, who’s an adult, becomes anxious when I hear the gust of the wind and the heavy rain that could bring flood to our place. Our Yolanda experience flashes back every time a typhoon is approaching us, whether it’s a strong or a weak one. Perhaps I’m still lucky that our house was not totally destroyed by Haiyan. But how about the other Haiyan survivors who are still temporarily living in tents and sub-standard bunk houses? It’s already more than 8 months now since Yolanda struck us, but I don’t even know where to run if ever a strong typhoon strike us again. Should I run to a mountain? Should I go to a hotel or a mall? Should I evacuate to an Astrodome located at the bay? I don’t have any plan to leave Leyte and migrate to another place. I hope the government is already working for a long-term solution that will provide us security and a peace of mind to go on normally with our lives. Thank you Yiska! We appreciate it a lot. Thank you for sharing Meg. I’m looking forward to writing more about us. Really Appreciate this. :'( Exactly what I felt, during and after Yolanda. I hope the “leader” will read this. Nah, I doubt it. He didn’t even listen the cry and the wailing of the poor souls during the lashing of Yolanda, why should he care now. I agree with you.. Our president is so arrogant. Tinood! Dda ak hn yolanda.. Thank you so much for sharing and being so spot on. . I wasn’t there… But my whole family was. And everything that you have written here echoes what they have shared to me. My family, my friends and all survivors I know still feel emotional every single time we talk about what happened. i hope its okay that i’ve shared this to my facebook wall.this is so much true and you have said it all. It’s very much okay to share. It will help us make this post reach more audience. Thanks for sharing Irene. Very nice article. I’m a Yolanda/Haiyan survivor and what happened on November 8, 2013 and the following months will always remain in our lives. Everyone (not just Tacloban) who witnessed the wrath of Yolanda will forever be bonded by the memories of suffering, endurance, resiliency and hope in times of darkness…. During my flight, I felt a sudden unknowing sadness that crept in my heart. I was on tears for reasons I was uncertain of. Maybe because during my stay in Tacloban I’ve been convincing my 84 y/o mom to come with me to Manila. Being an elderly, she can’t easily make up her mind anymore … Upon arriving in NAIA, I texted my bro/sis in Tacloban informing them of my safe arrival. Only to realize that those were the last texts I’d be receiving from them since Yolanda’s wrath hit Tacloban. The following days were mere emotional anguish & mental torture especially when I saw news footages on TV of how Tacloban and my fellow Taclobanons got ravaged and devastated. No means of communication or info of what has happened with my family there only aggravated the gnawing fears. I may not have directly experience Yolanda’s fury, but the emotional, mental and psychological trauma it brought me was almost beyond what I could have handled if not for the prayers of my friends and my faith in the One who is still in control of everything. From my end and on my knees,my heart cried for the elderly (including my mom and relatives), the sick & disabled (left & abandoned in hospitals), the poor living in shanties and along coastal shores (where 2 of my ‘pamangkins’ & their mom lived), and the helpless, little children and all those who survived and countless people who drowned and died in the aftermath. Reading your article brought back tears of the painful memories and trauma that I was literally spared from but which I deeply felt for my family, friends and fellow Taclobanon who suffered it directly. True, if in the midst of pain we can feel united with those who are in great pain, how much more if we all would be united in an intense desire and common goal to rise up from the ashes and rubble of greed, indifference and corruption, then our beloved Tacloban would have been able to get back on its feet again in less than a year’s time. Thus, our tears and pain for our ka-Taclobanons continues … but our hope in God and the people & organizations (local & abroad) who continuously give aid, we extend our deep gratitude. Rise Tacloban! … Rise to give glory to God and manifest His strength and be a beacon of hope for other peoples and nations. survivor din ako at totoo ang lahat ng nabasa ko..
gobyerno? omg isang pamu2litika ang nagyare sa lugar ng tacloban kung saan ako nakatira. -naging ginto ang mga pagkain at halos naging mitsa pa yan ng buhay. pati 2long sa labas ng basa para saming mga yolanda survivors MAY TAX? come on!!!! kaya mas natatagalan ung mga 2long dahil dyan! So true!! It is the government who dissapointed me and my family the most. We all witnessed thetrue colors of most of our odficials though not all. What a nicely written article. I can’t even begin to imagine what the survivors are going through including my immediate family. Taking it day by day I guess. I will be sharing this post. You totally read my thoughts. So true..the apocalyptic event during Typhoon Haiyan will be remembered by survivors like me. there are questions i would like to ask/know, where does the different NGO’s got there expensive luxury cars that’s been used to help us, the victims?? where do they get their funds? from their own organizations? or from the billions of funds donated to us by our friends from the international community.. just a clarification.. If I may ask, what happened to the money that the different countries gave to the Philippines? What did they do to it? Lahat ng pamilya ko naka survived, but mga bahay nila na sira. ang gobyerno.. imbis na bigyan tau ng bagong pag asa sila pa ang nag tangal n2.. nkakalungkot isipin na ngawa pa nilang mangurakot kahit na alam na alam nila na mas kelangan ntin ng tulong.. bakit mas mahirap i’abot ang tulong ng mga gobyerno kesa nung nsa labas ng bansa? dala pa ba i2 ng pamu2litika? me kinalaman pba i2 sa dating alitan ng politika? kawawa naman kming bumuboto na akla nami’y tama ang aming npi2li.. kung tutuusin, utang na loob nyo sa amin ang inyong posesyon.. tulong lang nmn ang aming hinihingi..
sa iba nmn, alam naming mali ang pang looting sapagkat nakaw i2.. pero sa oras ng ganung klasing kahirapan, mag da2lawang isip kpa ba? It was so devastating to be miles away from home when the typhoon Haiyan happened.The searching and the waiting for information about your family is excruciating.The whole world witness the plight of our people and the insensitive heartless inactions of the national government headed by that president leaving Tacloban and the whole region for several days. I have realized how inhuman is Philippines politics. They are supposed to governed the country according to what is good and moral. We must never forget what happened.